With the holiday shopping season in full swing, shopping malls are packed with massive crowds and for those who support handmade and local artists, there are also plenty of exciting holiday craft shows and markets coming up and Boston Handmade's Downtown Crossing Gallery too! However, for those who want to avoid the crowds and still want to support handmade by shopping from the comforts of their own home - there is still yet another option! 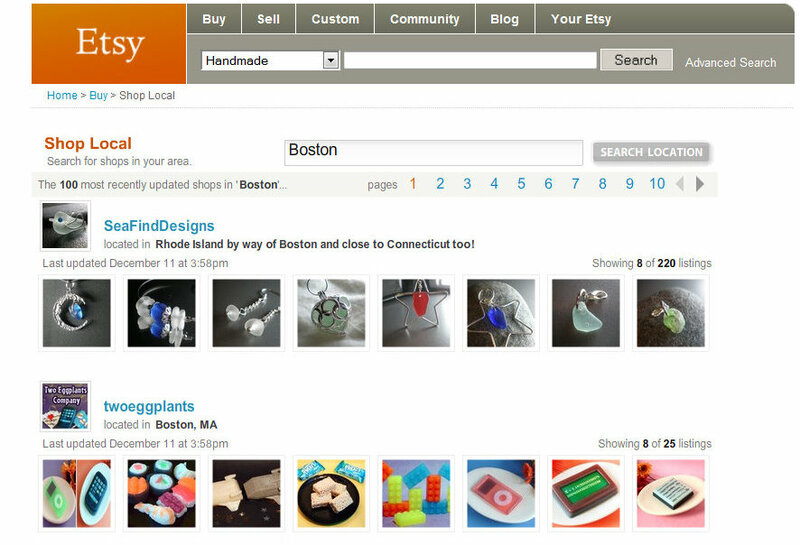 Etsy's "Shop local" function! Its very easy to do, just go to Etsy's homepage, then click on the tab on the left hand side called "shop local" and then you can just enter your town or state and it will find some of the Etsy shops closest to you! This way you can feel good about supporting local artists and buying unique handmade gifts, and rest at ease that you can get your items sooner in the mail too!